The Balti Triangle of South East Birmingham epitomises freshness, flavour and the spice explosion your taste buds desire when you sit down for a true Pakistani/Kashmiri Balti experience. Al Frash, which translates from Persian to ‘The Butterfly’, was my first experience of a traditional Balti. It is without doubt a hidden gem of a restaurant. 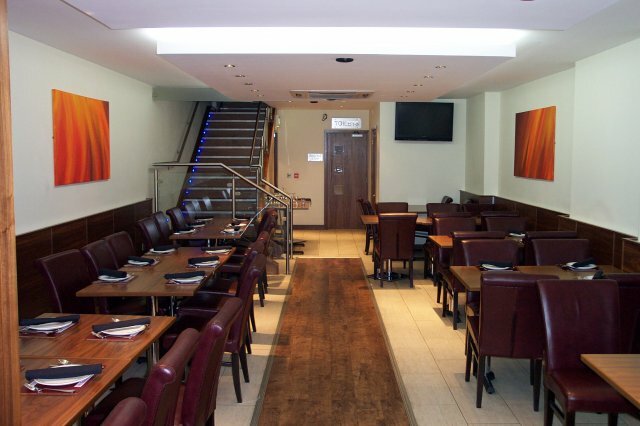 Established in 1991, its numerous accolades include being a finalist for Birmingham’s Best India Restaurant 2011, which acknowledges its cultural charm. The Balti is a cultural highlight in itself. 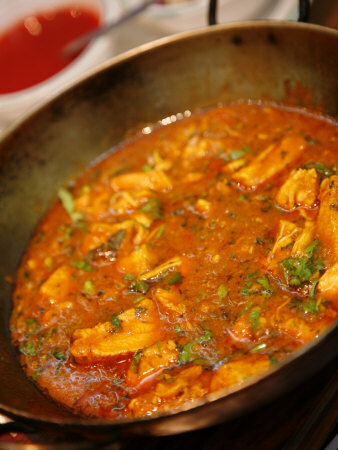 Loosely based on home-style traditional cooking, the Balti came to Birmingham in the mid-1970s. Its defining features include the wide cast-iron pan shaped bowl it is served in, and also named after, which is perfect for navigating your naan to wipe up all the delicious juices and spices. The bowls have become a crucial cultural addition as they are now manufactured in Birmingham. It is also, as many weight-watchers may be pleased to know, made with fresh spices rather than pastes and has a tomato and onion base with the use of vegetable oil instead of ghee – making the Balti a healthy and authentic alternative. Although, I cannot doubt that once you have tried the dish and the restaurants’ other beautiful offerings, you will leave feeling stuffed. Al Frash certainlyprovides something extra for their customers. When I entered the small pocket of wonder amidst the vibrancy of Ladypool road, I could appreciate why Al Frash was praised highly online. We were made to feel immediately at home. The sole waiter, upon being asked if we needed to pay for the car park opposite, joked that we just needed to pay him whatever we felt was adequate. He gave a beaming smile and led us to a cosy table in the corner of the restaurant. It is the perfect size for an intimate dinner and has a friendly atmosphere – being full of locals who were obviously regulars. We started with the sizzling lamb chops tikka, where my fellow curry taster remarked ‘the meat just melts in your mouth’, and the chicken tikka, which was also succulent and juicy. You cannot deny the freshness of the spices used in the dishes. The side of yogurt and pickles we enjoyed with our poppadum had that deep, rich flavour you look for in a good dip. It probably would have been sacrilege not to order a Balti in the Balti Triangle, so we duly ordered chicken and king prawn traditional Baltis with the obligatory naan and rice. It was unbelievably good value for money. The meat and fish were cooked to perfection, and the presentation of the Balti itself was fabulous: sitting in the traditional bowl, next to a naan far too big for the plate. It was clear, from the stilting of the conversation, that it was exactly what we had hoped for. My experience of the Balti triangle has opened my eyes to another part of Birmingham’s rich culture and heritage. 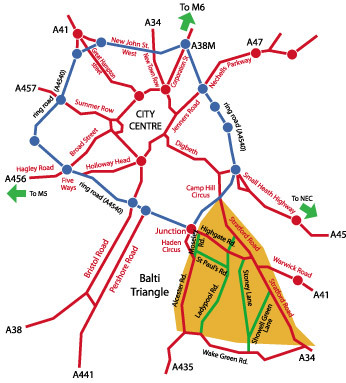 The Balti Triangle also provides great insight into the communities and culture of the area. Each individually prepared dish has been exceptional every time I have visited. It would be a travesty to miss out on the beauty of Chef Azam’s offerings, and the prices are perfect with the usual BYOB policy. Al Frash is a far reach from the curry houses of Selly Oak. This entry was posted in Culture, Features, Food, Uncategorized and tagged al frash, balti, balti triangle, Birmingham, curry, selly oak. Bookmark the permalink.